Home Heal With Us Are you ready for the 2018 summer session of the Healing School? Are you ready for the 2018 summer session of the Healing School? The Healing School Summer Session is scheduled to be held in Canada. 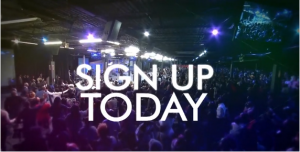 Thousands will receive their healing and miracles in an atmosphere of faith, as they attend. The Healing School is absolutely free of charge. Partnering with the Healing School is about giving people’s life a new meaning. For more than a decade, the Healing School has transformed countless lives around the world. Many who attend the Healing School do so as a last resort for a solution to their protracted problems. People come to the organization broken in their critical hopeless conditions. They’ve spent their money, lost their jobs, their dreams and aspirations all put on hold just to get well. Coming to the Healing School, their lives are transformed just by one touch. Suddenly they are awakened to a new dream with unbelievable new abilities. Their hopes and aspirations come alive once again. They become agents of change for Christ, taking the healing power of God to their world. After you’ve met the man of god, the miracle power doesn’t die, it is in you. And that power can be transferred to other people. Previous student of the Healing School have become living proof of the grace of God. God is not unrighteous to forget your work and labor of love. The Healing School is a global ministry with the divine mandate to take healing to the nations. 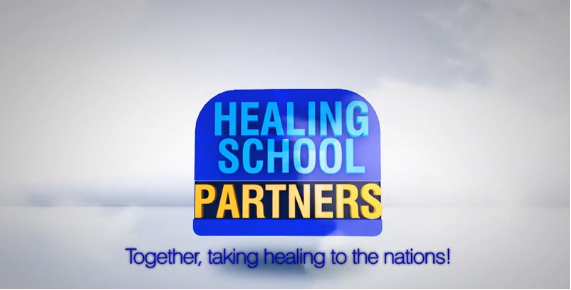 Partnership with the Healing School is a commitment by individuals and corporate organizations to change lives all around the world, through sponsorship of our various projects and programs which are geared towards the fulfilment of this mandate. 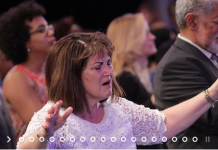 The organization’s network of partners consists of thousands of women and men who have become stakeholders in the vision and have joined forces with the man of God, Pastor Chris Oyakhilome, in taking God’s divine healing to nations across the globe. “How beautiful upon the mountains are the feet of him who brings good tidings, who publishes peace, who brings good tidings of good, who publishes salvation…” (Isaiah 52:7). As a partner of the Healing School, you are a messenger of the glorious gospel – the good news of peace and salvation in Christ Jesus. You are the light of the world, bringing hope and announcing the grace and love of God to all men. The Healing School Summer Session (2018) is scheduled to be held in Canada. Thousands will receive their healing and miracles in an atmosphere of faith, as they attend. The Healing School is absolutely free of charge. Invite someone to attend, invite a friend! Give towards the session – partner with us. Requirement – Evidence of illnessis a vital requirement of the Healing School; students are to come with their medical reports and any other supporting evidences like gadgets being used, medical prescriptions, medications, etc. They are required to bring them for on-site physical verification. Currency exchange – Canadian dollar is the prevalent currency used in Canada. The US dollar is also acceptable in many places, subject to the current exchange rate. Other foreign currencies can be exchanged at the Bureau-de-Change on location at the airport, either through the use of your bank card at any of the ATM machines or at the various shopping malls. In the case of a credit or debit card, kindly check with your bank to ensure that your card is usable in Canada, as some may not be acceptable or cannot be used in Canada. The Canadian currency control requires that anyone carrying more than $10,000 (USD) or $10,000 (CAD) in cash or travelers’ cheques must declare it to the Canadian Customs upon entry into Canada. Schedule – Healing School Sessions run from 9am – 3pm daily with a one-hour lunch break. Students are expected to attend all classes at the Healing school. Students are required to spend a minimum of 18 days (inclusive of 3 Mondays) from the day of orientation. Kindly note that the required number of days could be extended on an individual basis. Also be informed that attendance of Christ Embassy church services forms part of the school curriculum for the session. Church services hold on Sundays by 10am. Weather – The summer session in Canada comes in July. During this season, rain may not fall regularly. Although the weather remains warm, it may not be too hot for the visitors. Moreover, the temperature lower as the season progresses, giving way to cool weather. For visitors, kindly be advised to travel with at least two jackets. Telecommunication – Canada has a well-developed communication infrastructure, with extensive landline phone networks and three mobile phone service providers, with far-reaching coverage. The leading network technology is 3G. It is fully digital, allowing for caller line identification, electronic call answering and per second billing. This technology is also used by some Internet Service Providers to provide fast Internet connectivity. This facility is available in most hotels and lodges. Furthermore, Internet cafés abound in several parts of the city. You may buy mobile phones (cell phones) from the airport upon your arrival or you may come along with your mobile phone and buy a SIM card. Phones and SIM cards can be purchased at certain network provide stores, and at the airport. Transportation – is easily accessible in Canada. You may move around the city via car rentals, which can be booked in advance. It is not advisable to use buses during your stay in Canada.